Home / News / 2019 SOS season starts SATURDAY! The Southern Ontario Sprints are set to kick off the 2019 season this Saturday April 20th at Merrittville Speedway. When the green flag flies at Merrittville Speedway, it will start the race to the 2019 championship for the longest running 360 sprint car series in Canada, the Southern Ontario Sprints. The SOS will headline the Spring Sizzler night which will also feature an Easter Egg Hunt for the kids with a bike giveaway. 68 bikes and counting will be given away to the kids as part of the Easter Egg Hunt. The level of competition will be in high gear as the drivers of the SOS return to action. Look for former SOS Champions Dylan Westbrook, Warren Mahoney and Mitch Brown to be mixing it up with those looking for their first trip to victory lane. 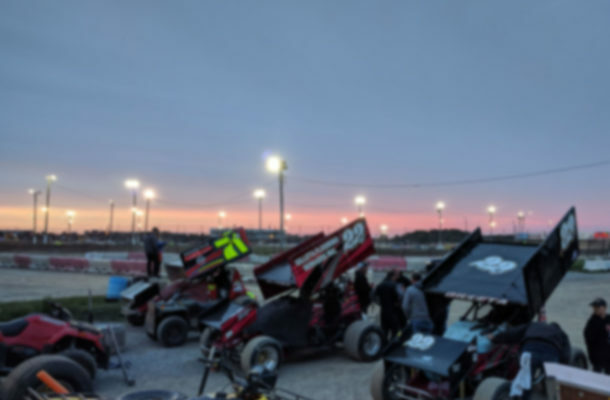 Don’t miss the action as the Winged Warriors with Attitude of the 360ci Southern Ontario Sprints shake the grand stands for the opening weekend of the 2019 season . Drivers MUST sign in and draw their OWN pill at the beginning of the night. Reminder, scoring transponders are mandatory for all cars. MC3 Right Rear spec tires are available at Grisdale Racing Products. CALL them ahead to order. Helmets must be worn at all times when on ATV’s at Brighton Speedway.